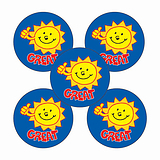 Featuring our popular sunshine image, these bright stickers are great as a generic reward for children who excel at school. 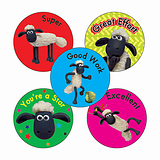 They're also ideal for parents to use to encourage good behaviour & reward amazing accomplishments! 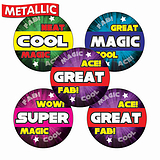 Great for display work, jumpers & exercise books. Want to see more stickers this size? Click here!